“Over 50% of customers we’ve surveyed are restless, skilled at shifting spend and intolerant of poor [customer-service] experiences,” said Forrester CMO Victor Milligan on a recent company podcast. Plenty of similar research backs him up: An American Express study showed that 33% of those surveyed would consider ditching a trusted brand after just one bad customer-service experience, while another report found that 59% of folks might tolerate a handful of customer service frustrations before they move on. Customers want their issues resolved on their terms and in real time. And the younger they are, the higher their expectations: In one study, 71% of millennials said the most important thing a brand can do is value a customer’s time. Those same buyers expect companies to respond to a Tweet or a Facebook message within an hour. Speed and efficiency is especially crucial when solving simple problems. As SaleMove co-founder and CEO Daniel Michaeli likes to say, “Getting a $50 refund shouldn’t eat up $100 of anyone’s time.” Keeping CS in place in some capacity 24/7 is ideal, but if that’s not economically feasible, cutting-edge companies will proactively inform their customers, with complete transparency and honesty, how and when a customer service representative will be in touch (e.g. phone call or, increasingly, via chat or email). Of course, it’s critical to identify your business’ peak customer service times and ensure coverage then. Making customers jump through hoop after hoop to solve a problem erodes their patience as well as their confidence in your brand. For starters, they shouldn’t have to click through several webpages to find your company’s customer-service contact—put that info front-and-center. Better yet, if you’re considering phasing out your phone-centric support approaching, consider omitting a phone number all together as a first step toward true digital customer engagement. Chat, after all, is the preferred channel for Millennials. 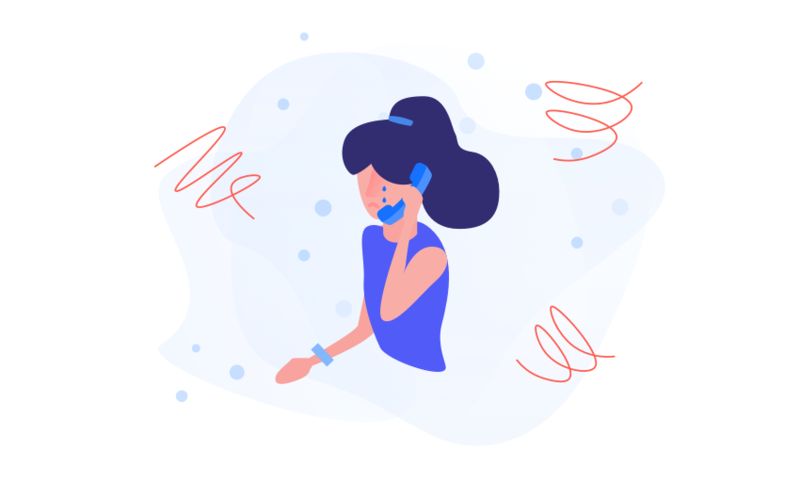 By using a digital first customer support system, your reps will additionally have full seamless contextual history when interacting with a customer so they don’t have to repeat their story to each new representative in the interaction. (This is a common gripe: 89% of those surveyed by Accenture identified it as a major frustration. And CapGemini said this gaffe resulted in the highest level of frustration.) Finally, no one wants to feel as if they’re dealing with the farm team: Trust employees to devise creative, swift solutions. “To prevent customers from switching to competitor you need to empower the right people to make decisions without having to wait for permission,” says DotActiv blogger Darren Gilbert. Because leaving a customer satisfied is more important than complying with a rigid policy. And, in the long run, it’s almost always more profitable.